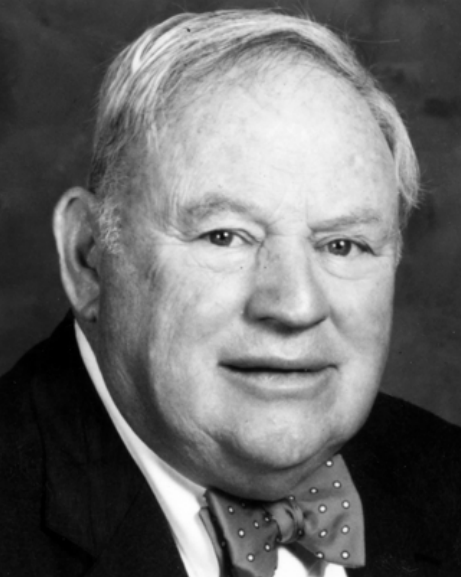 Frank Cashen was one of the most successful front-office executives of his time, taking part in the winning of five pennants and three World Series, and one of the more educated and erudite. “Frank is very bright man, a man for all seasons,” remembered a former New York Mets vice president. “You hear about people who know a little bit about everything. Frank knows a lot about many things. I don’t know many topics he can’t discuss. ”1 His knowledge was gathered through a love of books, and via his atypical path to baseball, a world he did not reach until age 40 but conquered quickly. John Francis Cashen was born on September 13, 1925, in Baltimore, Maryland, the son of Cornelius Joseph “Connie” Cashen and the former Bridged Mary Ryan, both immigrants from County Tipperary in Ireland. Frank had two older sisters and a younger brother. Connie was the engineering supervisor for the Baltimore Public School System, while Bridged ran the strongly Irish-Catholic family. When his father came home from work, he would often take out his fiddle, or get out a book, and entertain the family for the evening. “I have always been incredibly proud of my parents,” Frank recalled.2 He attended St. Paul Parochial school and then Mount St. Joseph high school. Cashen graduated at age 19 from Baltimore’s Loyola University in 1945, with a double major in English and philosophy. In college he played a little basketball and baseball, though he claimed not to be particularly good at either.3 While still in high school he got a job as a copy boy for the Baltimore News-Post. He worked with the paper for 17 years, the last 15 of them as a sportswriter. It was while in the newspaper business that Cashen picked up his lifelong habit of wearing bow ties—because they were less likely to get dragged through ink or get caught in printing presses. During his years as a writer he attended night classes at the University of Maryland Law School, specializing in labor law, earned his law degree, and passed the Maryland Bar. With his new law degree in hand, in 1959 Cashen took a job as the director of publicity for the Baltimore Raceway, working for Jerrold Hoffberger, a prominent Baltimore businessman whose main concern was as president and chairman of the National Brewing Company. Although he loved the newspaper work, Cashen’s growing family would eventually include seven children. “I’d reached a point where I could no longer say money didn’t matter,” he recalled.4 Cashen loved horses and life at the track, and he eventually ran a few racetracks for Hoffberger. After a few years, Cashen was transferred to the brewery, where he worked as Hoffberger’s personal assistant and then as the advertising director, helping promote the brewery’s brands, including National Bohemian (“Natty Boh”) and Colt 45. In 1965 he was turning 40 and had every reason to think he would play out his career at the brewery. Hoffberger had long been the largest shareholder of the Baltimore Orioles (making “Natty Boh” the prime sponsor of the Orioles), and part of a group that had moved the team from St. Louis in 1953. In ensuing years he acquired more and more of the stock, finally acquiring controlling interest in 1965. Before his takeover, he had asked Cashen to spend a few months examining the business and preparing a report on the operation. A few months later, Hoffberger asked Cashen to run the Orioles, working alongside Lee MacPhail, the club’s longtime vice president and general manager. MacPhail, sensing a decline in his authority, soon resigned to become the chief assistant to baseball’s new commissioner, William Eckert. Cashen essentially became the CEO. He promoted farm director Harry Dalton to run baseball operations, and the two worked together on running the ballclub. The Orioles had been a strong club for several years, winning 97 games in 1964 and 94 games in ’65. Just before leaving the club, MacPhail had worked out a six-player trade with the Cincinnati Reds that would principally acquire Frank Robinson at the cost of starting pitcher Milt Pappas. Cashen and Dalton agreed to make the deal, one of the best in team history. Robinson won the Triple Crown in 1966, and the team waltzed to an easy pennant and a four-game World Series sweep over the Dodgers, the first championship in franchise history. Not a bad start for Frank Cashen. After battling several injuries in 1967, over the next year the Orioles made a few key trades for the likes of Don Buford and Mike Cuellar, hired Earl Weaver as manager, and won three consecutive pennants from 1969 to 1971. These were extraordinary teams, led by Frank Robinson, Brooks Robinson, Boog Powell, Paul Blair, and three dominant starting pitchers—Jim Palmer, Dave McNally, and Mike Cuellar. The team averaged 106 wins, won the AL East by an average of 15 games, and swept all three playoff series. Although most historians consider this to be one of the best teams in baseball history, their fame is tarnished somewhat because they managed to win only one of the three World Series. After losing to the Miracle Mets in 1969, they dominated the Reds in five games in 1970, then lost a classic seven-game matchup with Roberto Clemente’s Pirates in 1971. After the 1971 World Series, Dalton resigned to assume a similar position, though with more authority, with the California Angels. For the next four years Cashen performed the general-manager duties for the Orioles himself, and the club continued to contend. His most famous deal came just a few weeks after Dalton left, when Cashen traded an aging Frank Robinson to the Dodgers. Cashen felt the team had sufficient replacements (especially Don Baylor), though the players later claimed to have missed Robinson’s leadership. A teamwide batting slump dropped them to third place in 1972. The Orioles bounced back with back-to-back division crowns in 1973 and 1974, both times losing in the ALCS to the Oakland Athletics, and then finished a strong second to the Red Sox in 1975. Much of the core from the Dalton teams—players like Brooks Robinson, Powell, and McNally—had slowed down considerably, but the team still had the great Jim Palmer, and was heavily fortified with players from the minors (Baylor, Bobby Grich, Al Bumbry) or acquired in Cashen deals (Ken Singleton, Tommy Davis, Mike Torrez, Lee May, Ross Grimsley). The mid-1970s Orioles were not the dynasty they had been, but they were still considered a top-notch organization. By 1975 National Brewing was struggling, and Hoffberger merged the company with Carling. He asked Cashen to leave the Orioles and help manage the new organization. By 1979 Hoffberger no longer controlled the brewery, and had sold the Orioles. Cashen returned to baseball, working as an assistant to Commissioner Bowie Kuhn in New York. Kuhn delegated a lot of the office functions to Cashen, who helped set up the Jackie Robinson Scholarship Program in New York for minority students, and created a pension program for nonplaying personnel throughout the game. Cashen told ownership that he needed at least four years to turn the organization around, and he began by revamping the scouting and minor-league systems. Although the team remained dreadful through 1983, the organization started to draft and develop talent, coming up with Darryl Strawberry, Dwight Gooden, Kevin Mitchell, Lenny Dykstra, Mookie Wilson, Rick Aguilera, and several others over the next few years. Unlike the more specialized front offices of today, Cashen ran everything in New York—marketing, TV and radio contracts, hiring announcers, public relations, and the baseball team. Cashen’s biggest decision for 1984 was the hiring of a new manager—Davey Johnson, a bright mind whom Cashen knew from his Orioles days. ( Johnson had been the club’s star second baseman during their glory years.) Johnson had managed in the system, and like Cashen wanted to play the kids rather than continuing to lose with veterans. In 1984 the Mets finally broke through, winning 90 games after having won fewer than 70 for seven consecutive seasons. The biggest improvement on the club was the pitching, which featured three rookies: Ron Darling (acquired from Texas), Sid Fernandez (acquired from the Dodgers), and 19-year-old phenom Dwight Gooden. In the following offseason Cashen landed third baseman Howard Johnson and catcher Gary Carter in separate deals, and suddenly the Mets had one of the game’s best offenses to go with their great pitching. New York won 98 games in 1985 and took the Cardinals down to the season’s final days before falling three games short. While Carter, Hernandez and Strawberry had good years, it was Gooden who had a season for the ages—a record of 24-4, with a stunning 1.53 ERA. The Mets did not win more championships, even with Cashen making two more great trades that winter, landing Kevin McReynolds and David Cone. Gooden entered drug rehab in April 1987, and it was Gooden’s problems more than any other that foretold the Mets’ decline. They remained a competitive team for several years, and won 100 games and the NL East in 1988, but were never again able to put it together as they had in 1986. Gooden and Strawberry, their two bright young stars, had good years remaining, but both had long battles with drugs and crime, likely costing Hall of Fame induction for both. Hernandez and Carter declined for more conventional reasons—aging, and the team appeared rudderless by 1990. Cashen let Davey Johnson go during another secondplace finish in 1990, and resigned himself after the 1991 squad finished fifth. He remained an adviser to the Mets for several years. Cashen was inducted into the Baltimore Orioles Hall of Fame in 1999, and the New York Mets Hall of Fame in 2010. Frank Cashen married Jean in 1951, and they raised five sons (Timothy, Brian, Sean, Gregory, and Terrance) and two daughters (Stacy and Blaise). In retirement, he and Jean lived in Easton, Maryland, where he followed the Orioles closely, and St. Lucie, Florida, where he spent time with the Mets every year in spring training. He died after a short illness on June 20, 2104, at Memorial Hospital in Easton. He was 88 years old, and he and Jean had been married for 64 years. Cashen’s front-office record is extraordinary. He directed a great organization in Baltimore, and after taking over as GM, he made some great trades to keep the Orioles in contention and won two division titles in four years. In New York he inherited a mess, and used the Oriole model to build the organization—scouting, player development, and excellent young pitching. Although it ended sooner than he would have liked, the seven-year run (1984-1990) averaged over 95 wins per season, finishing first or second every year, and captured a title. This was the most successful period ever for the club, on and off the field—coupled with a down period for the Yankees, the Mets were by far the most popular team in New York for several years, giving hope that they could be so once again with another great team. 1. Marty Noble, “Former GM Cashen dies at age 88,” mlb.com, June 30, 2014. 2. Frank Cashen, Winning in Both Leagues (Lincoln: University of Nebraska, 2014), 14. 3. Cashen, Winning in Both Leagues, 59. 4. John Eisenberg, From 33rd St. to Camden Yards (New York: Contemporary Books, 2001), 156. 5. Jeff Pearlman, The Bad Guys Won (New York: Harper, 2004), 24. 6. Kevin Kernan, “Loss of a Legend—Frank Cashen dies at 88,” New York Post, June 30, 2014. 8. Kevin Willis, “Former Orioles and Mets GM Led Champions,” Loyola Magazine, July 22, 2011.